When you examine the line between smart and genius, the difference becomes quite clear – becoming an innovator in whatever your respective industry requires a great amount of vision. So many people in our industries have innate talent, many people are smart, but not everyone has foresight, can trust their gut, go for the goal, and then entirely change an industry or society. That’s pretty rare, but guess what else? It’s also extremely possible. Lesson #1: Do whatever you want…and then show them why you were right. To be revolutionary, you have to trust your own instinct and really be fearless in making changes that no one else has before. It’s not always about creating something totally new, but reinventing the norm. As Amy Gunderson explains in Inc, Henry Ford may not have been the first major player in the American auto industry, but he successfully became the best by staying true to his vision. When he decided to actually increase workers’ wages, decrease the number of hours in the work day, and lower the price of cars to appeal to a greater number of consumers, people thought that he was crazy. Ford didn’t listen and when his investors protested, he just bought them out. By listening to his gut, he successfully changed the transportation, manufacturing, labor relations, and advertising industries. Being alone in your vision is no reason to go against it. When you have a clear idea of how you want to change your industry, let no one lead you away from it. They’ll all catch on once they see how great it is. Intuition is a powerful thing. Lesson #2: Never settle and don’t be afraid to make people mad in the process. Now seen as one of the greatest business minds of our time, Steve Jobs was stubborn, often difficult to work with, and simply stated, probably the pickiest innovators ever. 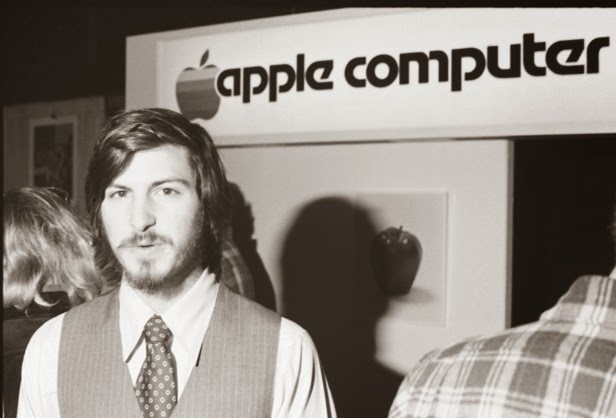 After reading Walter Isaacson's biography of the Apple founder, that all appears to be true – including the fact that without Jobs’ being so picky when it came to how he wanted each and every product to be, Apple may not have grown to be the technology powerhouse that it’s grown to be. People may have critiqued him for those qualities, but Jobs made sure that every single aspect of his products were perfect, even those internal design pieces that the consumer couldn’t see. It’s all of those simple details that Jobs so vehemently fought for, from simplistic design aesthetic to getting rid of floppy disc drives, that are now industry norms and of course, Apple’s competitors all followed suit. Quality is important so no matter how long it takes you (or your employees) to get it right, never compromise. It’s in those details that can make you exponentially better than your competition, making them bring their A game if they want to be as great as you. As Jobs also said, “"A great carpenter isn’t going to use lousy wood for the back of a cabinet, even though nobody’s going to see it." It shows a level of integrity and that is something that every talented person just doesn’t have. Lesson #3: View the world as a huge classroom – learn and teach in it. A renowned writer and poet, Maya Angelou first spent the early part of her adulthood doing a crazy amount of different things – singing, dancing, political activism, directing, you name it. Whether walking on the other side of MLK or working as San Fran’s first black streetcar conductor, the Renaissance woman has used the entire world as a platform for learning and uses those to contribute to her great books and poetry. Moreover, Dr. Angelou has diligently worked to spread knowledge, both as a prominent professor, teaching in countries all over the world, and becoming a mentor and a voice for many. Teamwork makes the dream work, who hasn't heard that saying before? Well, research shows that it's true. According to numerous studies, work done in a team is done much more efficiently. As entrepreneurs, a lot of us make the mistake of thinking that we can do everything by ourselves when it actuality, there many benefits to working in a team. One benefit of teamwork is the creativity that it provides. Having multiple people on your team to give and receive feedback always makes for great brainstorming. When a team has members of different backgrounds and experiences, it fuels creativity. This produces great ideas and optimal solutions; innovation can skyrocket with a successful team. Every individual has strengths and weaknesses. When working with the right team, it is easy to camouflage your weaknesses if a person on the team is strong in that particular area. When teams of people with skills that compliment one another are formed, the possibility to achieve the goals are much higher. When teams of people are working together simultaneously, there is the opportunity to get things done more efficiently and in a shorter amount of time. With one person doing everything, it would be virtually impossible to get things done properly and in a timely fashion. 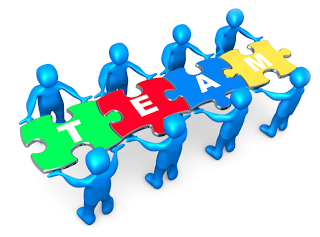 Each team member is an educational resource to another team member. With a team, concepts can be better understood and certain mistakes can be avoided. Learning from others in your team ultimately improves an individual’s performance and confidence. This will motivate each individual on the team to perform better. This may be the most valuable benefit to teamwork. The unity created by teamwork provides a sense of unity that will create and sustain a positive work environment. The "one for all, all for one" morale that teamwork creates is good for any company. The benefits to teamwork are undeniable. When a team works well together, it will benefit the company as a whole. When a successful team is built, there is improved coordination that motivates each team member to be more productive. Every entrepreneur should be an advocate for teamwork within his or her company. One of the biggest misconceptions about going into business for yourself is that, “if you build it, they will come.” So many of us have great ideas, amazing talent, and innovative products that we want to bring to the marketplace. And like many entrepreneurs before us, we roll up our sleeves and get busy doing the nitty-gritty work of developing our product line, workshop curricula, widgets, gizmos, or gadgets. 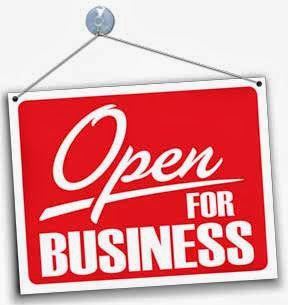 Finally, the day comes when we excitedly announce to the world that we are officially “open for business.” And THEN… nothing…crickets. This scenario is all too common and completely avoidable. Becoming an entrepreneur is challenging work. It requires discipline, sacrifice, and lots of determination. Entrepreneurship also has a steep learning curve. No matter what product or service you’re selling, you must know the fundamentals of being the CEO of your business, part of which includes branding and marketing. Well that’s exactly what happens when entrepreneurs spend so much time working IN the business, that they don’t take time to work ON the business and build the relationships necessary to for people to invest money in their product or service. Asking someone to buy from you is asking them for a commitment… a commitment of trust, a commitment of loyalty, integrity, and hard earned money. That’s a lot to ask for on the “first date”. Content marketing is a way to give value to your audience and establish expertise. Content marketing simply means delivering meaningful, valuable, useful information to your target audience. This can include blog posts, video tutorials, how-to guides & manuals, e-books, or podcasts. Each of these provides a platform for you to grow your audience by delivering content. Social Media platforms like Facebook and Twitter provide great opportunities to engage your audience, showcase your latest product/offering, host contests, giveaways, and digital chats. It gives people an opportunity to get to know you. People resonate with real people, not with logos. Having a social media presence lets people interact and build rapport with the person behind the business. Events are a great way to get out and meet the people that you want to invest in your business and it creates an opportunity to leverage the best marketing tool of all, “Word of Mouth.” If you are new or just starting out, offer to support or partner with another business who serves a similar audience/market. This is called “joint venture” partnering. Doing so will allow you to grow your audience and get more traffic to your door or website. The Boss Network CEO, Cameka Smith, often says, “Your network determines your net worth.” If you want to grow your brand and your business you need to get out amongst the movers, shakers, and influencers in your industry. Conferences are a great way to find out who’s-who, what’s -what, and make meaningful connections with people who can promote your brand. This is also an opportunity to exchange value. You may meet someone who can solve a need for you and you just may be the answer to their problem as well. Technological platforms like Skype, YouTube, and Google Hangouts provide ready access to get your brand out in front of millions. Depending on your product or service you can interview people relevant to your brand and post them on YouTube, or have a YouTube channel that “shows” your business rather than “tells” people about your business. For example, if you are a chef, YouTube can be a place to demonstrate your latest recipes and cooking techniques. If you have a business that’s stalled or you doubt yourself because things aren’t happening at the pace you thought they would, don’t despair. Branding and business go hand in hand. If you’ve spent more time working on your business and not enough working on your brand, then change course, build your platform, and I assure you, they WILL come.